Lawrence Berkeley National Laboratory (Berkeley Lab) has been awarded more than $4 million by the Department of Energy (DOE) to undertake three projects aimed at improving the energy efficiency of buildings, which account for more than 40 percent of the country’s energy consumption and greenhouse gas emissions. The projects, including a nanoparticle-based super insulation, a platform for automated building controls, and an advanced moisture modeling tool, will help meet the DOE goal to reduce the energy intensity of the U.S. building sector by 30 percent by 2030. On average, nearly a third of the energy used in buildings is wasted. It’s estimated that if the U.S. reduced energy use in buildings by 20 percent, the nation could save nearly $80 billion annually on energy bills. Prasher’s research found that the heat flow through nanoparticles is strongly dependent on three factors—the size of the nanoparticle, a property called acoustic mismatch, and the surface chemistry of the nanoparticle. “An optimal combination of these three things can dramatically reduce thermal conductivity and give you something similar to aerogel,” he said. Aerogel is an emerging insulation technology with low thermal conductivity—about twice as good as conventional insulation. However, because it is more than 95 percent air, aerogels are mechanically fragile. Additionally because they use a process called supercritical drying in manufacturing the cost can be up to 10 times higher. With $1.5 million in DOE funding, Prasher, working with Berkeley Lab scientist Wei Tong, intends to develop a process that does not use supercritical drying for making the new insulation. “We want to use a nanoparticle that’s cheap and abundant,” Tong said. In parallel, scientists at Oak Ridge National Laboratory (ORNL) will perform energy savings analysis and identify key performance criteria to make the product competitive. “We believe our insulation will have the same performance as aerogel at half the cost, and mechanically it will be at least 10 times stronger than aerogel,” Prasher said. In the second project Berkeley Lab scientist D. Charlie Curcija will team with researchers at ORNL to add moisture analysis capabilities to THERM, Berkeley Lab’s popular envelope thermal performance analysis software. Currently available tools for moisture analysis are either expensive or not sufficiently accurate. 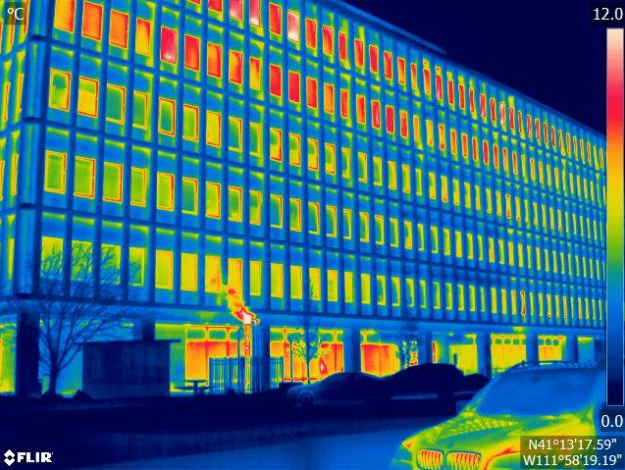 With THERM’s popularity among engineers, architects, manufacturers, and others for building thermal modeling, adding this functionality could enable great changes in building energy design. DOE will provide $1.25 million for the project. The third project, with $2 million in DOE funding, will tackle key problems in control systems. These systems manage heating, cooling, ventilation, and lighting in large commercial buildings and try to maintain occupant comfort while minimizing energy use. The typical process of designing and implementing control systems is manual and error-prone and results in more than 300 terawatt-hours per year of wasted energy (or about $30 billion in energy costs), according to Philip Haves, co-lead of the project. Berkeley Lab scientist Michael Wetter and co-lead Haves will develop a platform for automating the entire process of designing, implementing, and verifying the correct operation of building controls, reducing both manual effort—and cost—and manual error. A broad group of industry collaborators, including Arup North America, CBRE, and several large building portfolio owners, will provide input, testing facilities, and initial deployment channels to spur widespread adoption of the platform. “What we’re doing is quite innovative for the building industry, and there are advantages for everyone, from controls companies to contractors to building owners,” Haves said. The projects are supported by the DOE’s Office of Energy Efficiency and Renewable Energy (EERE).